Find the perfect event location for your special day! Find places to get married. Find event venues! Find an event space! Are you planning a wedding or event in or near Ventura, California? We make it easy to search and find romantic wedding ceremony and reception venues in Ventura County, CA and surrounding areas. Here you'll find everything you need for your wedding or special event. Whether you're looking for an outdoor or indoor event space, classic or rustic or country, hotel or country club, we'll make your selection process easy. O'Reilly Hall The perfect venue for the special events of your life. Your perfect wedding in paradise! In a setting not soon forgotten. everything you could ever imagine! The perfect place to say "I Do." a wedding to remember for all the right reasons. in a setting you'll never forget. Southern California has so many beautiful wedding locations. But how do you choose the perfect wedding ceremony site and reception venue for your big day? Whether you are planning a grand affair or a small intimate wedding, we make it easy for you to find the best local places to get married. The Ventura area has so many romantic wedding locations. Whether you're looking for a garden wedding location, country club, beach, ranch, hotel, park or historic venue, you'll find lots of options on this website. To ensure your perfect wedding venue is available, you need to book early. Most of the best Ventura wedding venues are booked at least one year in advance or more. There are so many types of Santa Barbara wedding venues and reception sites to choose from. When searching for wedding locations in Santa Barbara, you'll find that the wedding venues suit every taste and budget. From beach weddings to a grand event at a winery or vineyard, country club or resort, Santa Barbara is one of the most popular places to get married in California and offers endless places to have a wedding. Because it is such a popular wedding location, be sure to reserve your Santa Barbara wedding venue well in advance to insure it is available. Dreaming of a wedding on the beach? Planning a beach wedding is very popular today. Many wedding couples who opt for a beach wedding ceremony still opt for an indoor reception. After your ceremony on the beach, carry your beach theme to your reception with seaside menus, beach style wedding favors and a seaside cake topper. Are you planning a wedding or event in Ventura County? Look no further than Wedding Celebrations! Find local wedding venues and reception locations in Ventura County. We make it easy to find the perfect place for your special day. Are you planning a Southern California Wedding? WeddingCelebrations.com is the go-to wedding directory and online resource guide for all your Southern California wedding planning. Are you planning a garden wedding in Southern California or simply looking for a Southern California banquet hall? Perhaps you are looking for a Southern California beach wedding location? WeddingCelebrations.com has everything you need to plan the perfect Southern California Weddings. The romantic setting a Southern California wedding location provides is unsurpassed and considered by many to be included in the most beautiful weddings in the world. Whether you are planning a Southern California beach wedding or a Southern California garden wedding, outdoor garden Southern California weddings are the most prized. And the reason is the fabulous year-round weather, the calming ocean breezes, the awesome natural beauty of the local beaches and the beauty and charm of the surrounding mountains. Whether you are looking for a ceremony location, a reception site or a quality wedding professional such as a photographer, dj, florist or video, here you will find everything you need to plan the perfect Southern California wedding. At WeddingCelebrations.com, we make wedding planning easy by providing you with top quality wedding professionals who have been screened. Start planning your Southern California Wedding. Weddings in California, Los Angeles, Malibu, and the California central coast are planned using our online wedding planning resources at WeddingCelebrations.com. Why are brides and grooms using WeddingCelebrations.com? Because WeddingCelebrations.com makes wedding planning easy. Planning resources like those found atWeddingCelebrations.com are easy to use in planning a wedding in California. Todays brides know that when it comes to planning their garden or beach weddings in California, online resources provide the most useful information. Weddings in California are much easier to put together than in many other areas because of these readily available tools. Take advantage of WeddingCelebration.coms wedding planning resources to plan your wedding in California. Start using our online pages today to plan your wedding in California. Well help you plan your wedding in California and make it the day youve always dreamed of. Start planning your wedding in California today. 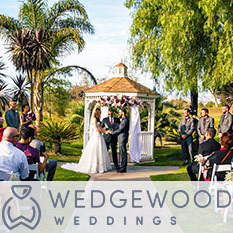 WeddingCelebrations.com is the perfect place to find wedding reception sites in California. Wedding reception sites in California are easy to find when you use WeddingCelebrations.coms Banquet & Reception Sites pages. Our Banquet & Reception Sites make it easy to find the perfect wedding reception venue in California. 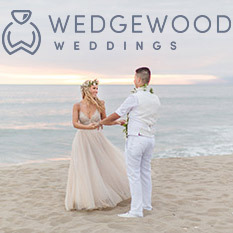 Whether you are looking for a beach wedding, garden wedding reception site, a banquet hall or a country club in California, you can find them here at WeddingCelebrations.com. Brides from all over the United States search for key words wedding reception sites in California which has brought them to WeddingCelebrations.com. Our easy to use planning guide makes finding a Southern California Wedding location effortless. Southern California Weddings are among the most sought after wedding key words searched for in the United States and the world. Wedding reception venues in California are romantic and unique and WeddingCelebrations.com is here to help you find the most beautiful and romantic California Wedding location. So start today to find your favorite wedding reception site in California. Santa Barbara Ventura County Weddings for Your California Wedding! Powered by WebStrata. Copyright © 2000-2015 Progressive Publishing.